John Spurling has won the sixth £25,000 Walter Scott Prize for Historical Fiction for his novel set in imperial China, The Ten Thousand Things. The author was at the Brewin Dolphin Borders Book Festival in Melrose, Scotland to receive his prize from the Duke of Buccleuch. 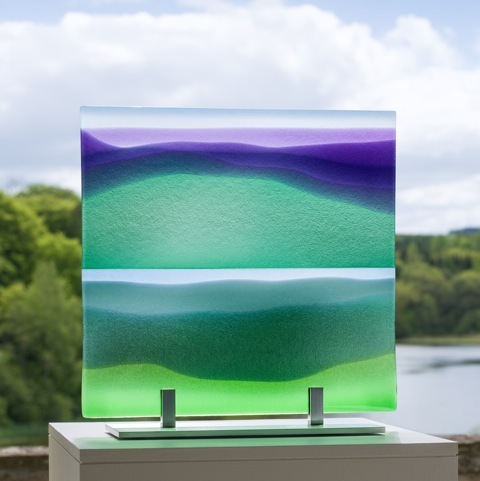 John Spurling was also awarded an evocative coloured glass panel commissioned from Lindean Mill Glass, depicting the colours and landscapes of Sir Walter Scott’s Border country.